Madurai is named after the nectar which fell from Lord Shiva's hair, as an old legend goes. Its the second largest city of Tamil Nadu and is an ancient one with its history being more than 2500 years old. The temples of Madurai are among the most visited temples of South India and mark a beautiful signature of Dravidian architecture on the Indian lands. The city presents a combination of vibrant celebrations of festivals, traditional beliefs and customs with a slight spark of modernity. Location : To the extreme south-east of the country, the city of Madurai is located on the banks of Vaigai river in the state of Tamil Nadu. It is at a distance of 272 km from Chennai and 446 km from Bangalore. Climate : Extreme temperature prevails in the city. The summer months (April-June) experience maximum temperature of around 40 degree Celsius while the winter months (October-March) are moderate with temperature dropping to 18 degree Celsius. Known For : Meenakshi Temple, rich ancient cultural heritage and south Indian delicacies. Meenakshi Amman Temple : The city of Madurai was built around the twin temples of Madurai, that are devoted to Lord Sundareswara, an incarnation of Lord Shiva and his consort Goddess Meenakshi Amman, an incarnation of Goddess Parvati. The temples belong to the 17th Century and are considered to be one of the largest temples of the country. The temple represents a remarkable piece of Dravidian architecture. It has four entrances and twelve towers consisting of several striking carved images or Gods and Goddesses. The temples main idol of Shiva is in the form of a linga surrounded by structures of lions, elephants and Bhootaganas. 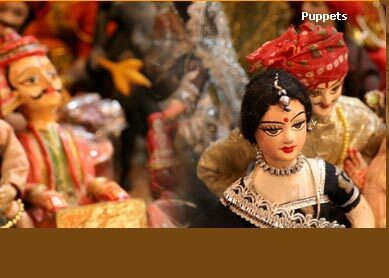 Other idols in the temple complex are of Goddess Meenakshi, Lord Indra and Nataraj. A golden lotus pond also adds beauty to the temple structure. Thirumalai Nayak Palace : Another 17th Century marvel, the palace represents the rich architectural heritage of that era with a multitude of stone carvings, white pillars, vast courtyards and a golden dome. 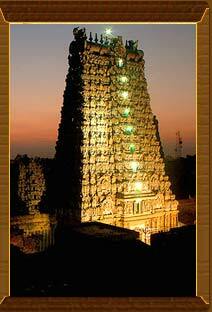 It was built by the Nayak Dynasty king Thirumalai Nayak in 1636 AD. There is also a sound and light show that can be viewed here, which is a depiction of the history behind the Palace and the life of King Thirumalai, which can be an entertaining and informative event. Vandiyur Mariamman Teppakulam :The temple looks beautiful and pure, as it stands in the nucleus of the tank which gets its water from River Vaigai, an important river for Madurai. The temple is dedicated to Lord Vigneshwara, a synonym of Lord Ganesha. The temple gets more embellished in the auspicious month of Thaiduring the Float Festival when the whole of the temple is decorated with lights and diyas, ans pilgrims reach the temple as they row down in colorful floats, to offer prayers to their deity. Chithirai Festival :The name Chithirai comes from the first month of the Tamil calender,which falls in the month of April, in which the celebrations take place under the celestial radiance of a fool moon. The festival is celebrated to mark the arrival of Lord Vishnu on this holy land to attend the marriage of Goddess Meenakshi and Lord Sundareswar. Thus, people enjoy this day as a new beginning of the year by taking out processions with idols of Hindu Gods and Goddesses to the Vaigai River, with full vigor and enthusiasm. Pongal :The biggest harvest festival and the most important festival of Tamil Nadu, Pongal, is celebrated for four days at a stretch, in the month of January, with each day having a special and distinct significance. On this auspicious occassion, sweet rice or pongal is prepared in every house, and is served on a banana leaf, which adds more aroma and flavor to the delicacy. 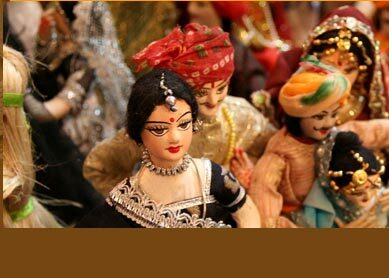 Rangoli or floral designs are made on the floor, where Puja is to be conducted and in front of the house. People wear new clothes, ornament their cattles with bells and look their best for the pongal puja and procession. The best shopping destinations in the city are Prithu Mandapam Market, Chitirai Street, and Cottage Arts Emporium that offer the best quality and the finest variety of jewelery, traditional crafts, metal ware, textiles and batiks, which are the specialties of the the place. Athisiyam Theme Park : Enjoyment, thrill and relaxation are the buzzwords of this theme park. Athisayam water park, located around 15 km from Madurai, is the place to hang out on holidays, with family and friends. You need a full day to enjoy the rides, water slides, food, games and music. Rajaji Park : The best place for family hangouts, Rajaji park is a water theme park that guarantees limitless fun for children. It is owned and maintained by Madurai Corporation and is situated at a distance of 2 km from the Central Bus Stand. Vaigai Dam :One can have a beautiful arresting site of vivid flower beds, green landscaping, arresting hills at the Vaigai dam, which is located around 80 km from Madurai and is a famous picnic spot with the scenic surroundings it offers. Air : Madurai has an airport, 15km away from the city centre, which connects it with major cities of the south like Bangalore and Chennai. Rail :Madurai has an important railway station connecting the city to Chennai and Tirunelveli. Road : Madurai is well connected by a network of roads to the nearby excursion destinations like Kanyakumari, Rameshwaram and Pondichery.